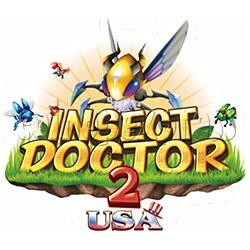 Insect Doctor 2 USA Edition Arcade Game Full Gameboard Kitis a insect hunter style arcade games, based on the jungle animal theme of the plane LCD monitor hunter game. The game play is similar as ocean king series or fish battle series, controlling the gun to shot at butterflies, spiders, centipedes, and so on. The game is designed for different special projects, floating in the field, attack them to release special power!! Feature the special worm, Lucky Insect, Magical Candy Bag, Royal Hornet, ect. catch them for the multiple bonus reward or a richer reward. The hunter game uses a high-definition screen design, support 4/6/8/10 while online games. 15 different types of insect, 9 kinds of powerful special weapons, a clear definition and detailed nature scene. It’s the most popular game machine in your game center. - Flame Moth: Sprinkling powder bombs all normal insects on the field. - Neuronic Goliathus: Release lightning to attack all normal insects continuously. - Black Widow: Black widow will use silk to sniper insect on the field. - Dead Leaf: Find the correct dead leaf to get rewards. - Blasting Centipede: Defeat it, its body will turn into bomb and explode. - Lucky Insect: Catch the huge insect, get a x2~x10 bonus reward. - Magical Candy Bag: Shooting it will increase its reward. Defeat it, it will stick all normal insects. Catch the stuck insects will 100% get double rewards. - Royal Hornet: The reward will upgrade randomly. - Morra Apple: Catch insect with Morra symbol ,then play morra game with magical apple. If you win, the reward will double up. Gain more rewards per win.